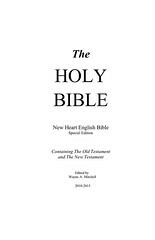 The New Heart English Bible is based on the World English Bible. In the New Testament it uses the critical texts instead of the Majority text the former uses. 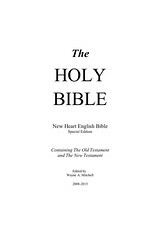 The Old Testament uses the Septuagint and the Samaritan Pentateuch. Various Syriac, Latin and Aramaic texts are also used. 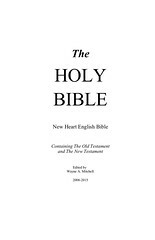 It comes in editions that render the name of the deity as Lord, Jehovah and YHWH. Aramaic names and Messianic editions are also available. For sample verses from the New Heart English Bible, click here. The edition uses Lord for the deity. Comments: The text was updated on November 23, 2015; Taliaferro lists a 2009 date for this edition. 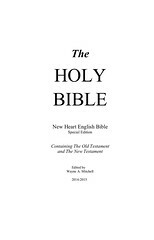 The edition uses Lord for the deity; Yeshua is used for Jesus. Comments: The text was updated on November 23, 2015. James and Jude are listed as Jacob and Judah, respectively. 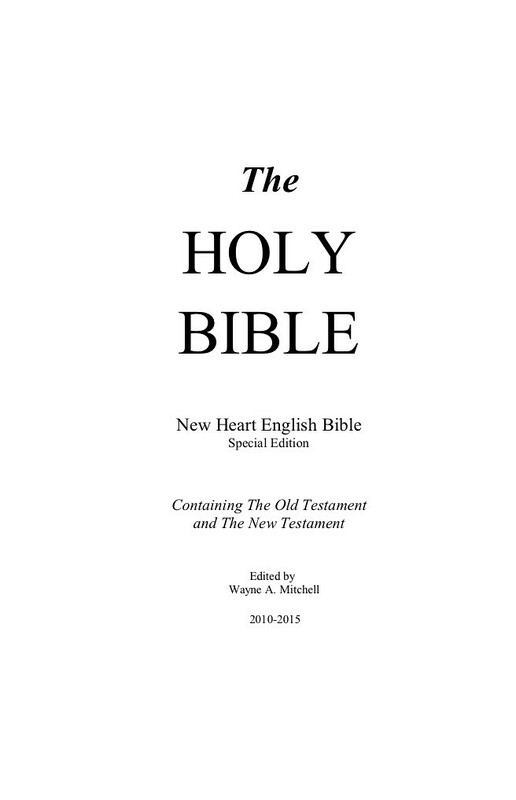 The edition uses Jehovah for the deity. The edition uses YHWH for the deity. Comments: The text was updated on November 23, 2015. The edition uses Lord for the deity. Yeshua is used for Jesus.